The Austrian School of Economic – Go Ahead! The Austrian School of Economics is not a physical institution; rather it is a school of economic thought. Based on analysis of the purposeful actions of individuals, the Austrian School has been studied throughout the world, and has been improved upon and followed by successful business thinkers. While it carries the name of the country, the Austrian School has little to do with Austria, apart from the fact that it originated in Vienna. The foundations of the Austrian School were laid centuries ago. Nonetheless I see this understanding of economics as being very current because it views the general market as an entrepreneurial process. 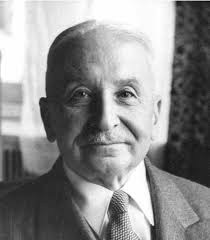 The current state of this theory has as its main thought leaders Murray Rothbard, Carl Menger, Joseph Schumpeter, Eugen Boehm von Bawerk, Fritz Machlup, Friedrich August von Hayek and especially Ludwig von Mises. These are all highly accomplished entrepreneurs, philosophers, economists, and authors of landmark books and theses. 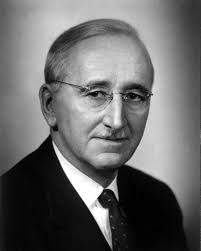 One popular book, The Road to Serfdom by F. A. Hayek, played a key role, following the New Deal and World War II, in the revival of the classical liberal movement in America. Other works examined monetary reform, exchange rates and capital theory – and a number of these have been utilized in today’s markets. Indeed some have even become key in the evolution of today’s business. In that the Austrian School is the singular school of economic thought that places entrepreneurship in a central role in economic development, it is central to all of my books and thinking. The Austrian School’s method is deductive. Its view of the economy is not conducted through simply amassing data and feeding it into incredibly abstract formulas in an effort to predict the unpredictable (formulas that become so complex they could hardly be called formulas any longer). Through the use of deduction and logical implication of common truths (as examples means are scarce, wants are unlimited), a business plan can be raised to entirely new level–one not simply based in abstract theory, but that is part and parcel of the real world. 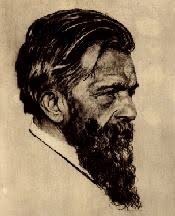 Instead of viewing the economy through a never-ending list of overlapping formulas, the Austrian School has as its objective the restoration of the economy as a human-based science. 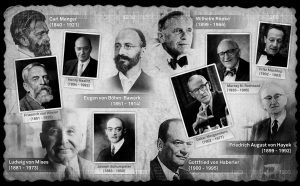 Friedrich August von Hayek, Carl Menger and others demonstrated that instead of being homogeneous (composed of parts with common origin), it is rather a diverse and intricate structure with a time dimension. 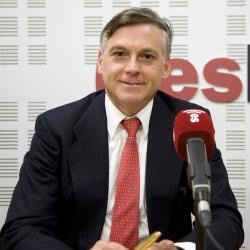 Universities that currently have a significant Austrian School presence are Loyola University New Orleans, George Mason University, Auburn University and New York University in the United States, and Universidad Francisco Marroquín in Guatemala. The Austrian School began with a radical thought: What something called praxeology—a study of human action based on the notion that humans engage in purposeful behavior—was applied to economics? Praxeology says that people are not just reactive, they’re proactive. The things they do are purposeful. 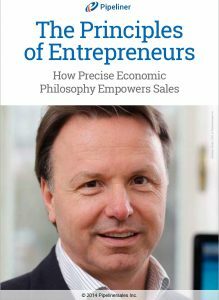 Perhaps the most purposeful and proactive people in any commercial enterprise—besides the entrepreneur that founded it—are the salespeople. They are truly the “entrepreneurs within the enterprise.” Or, as we refer to them, salespreneurs.